The Maltese Shih Tzu, also known as the Mal-Shi, Malti zu, and the Malt-Tzu, is a dog breed hybrid. One of the few “designer dogs” not originating with a Poodle, and therefore not one of the ubiquitous “Poo” or “Doodle” hybrids, the adaptable Maltese Shih Tzu is an adorable, sweet little guy with a long name. Created with the same goal as the Doodles — to be a small companion who doesn’t shed much and is therefore more appropriate for people with allergies — the Maltese Shih Tzu is a classic cross, a sweet lapdog who likes to play with the kids. See below for complete list of Maltese Shih Tzu characteristics! Originally bred to be completely nonshedding (which is a misnomer since that's not physically possible), the Maltese succeeds to some degree, since he's a low-shedding companion. However, the Maltese Shih Tzu is much more than that. He's intelligent and happy, making him a breeze — and a pleasure — to train. He does well as a therapy dog, and his wonderfully social nature makes him a great family pet. He's good with children of all ages and with other dogs and pets. This extrovert is gutsy and gregarious, and he loves people of any age group. The Maltese can be high-strung and snappy, but when crossed with the aloof Shih Tzu, you can get a friendly and outgoing dog who's good with people. Like any dog, this cross needs to be socialized as a puppy and as an adult. He also needs to be treated like a dog rather than like a baby or a stuffed animal who eats; that's why most dogs this size become little tyrants. It's not their nature so much as that they're allowed to be brats — but if you treat your Maltese Shih Tzu like a real dog, he'll act like a real dog. Make him walk, don't carry him everywhere, and he'll have the nice temperament he was meant to have. The Maltese Shih Tzu may look like one either of the parent breeds, but he doesn't usually have the Shih Tzu's short nose and bulging eyes. A Maltese is prone to tearstaining, but the stains — while still there — can't be seen as easily in this crossbreed, probably because the dogs aren't pure white. He's an affectionate companion who loves being with his family. He's not recommended for homes where he'd be left alone for long periods at a time, since he can suffer from separation anxiety, like most companion breeds. The Maltese Shih Tzu can have respiratory problems, thanks to that flat-faced Shih Tzu heritage, so he's best suited for homes with air-conditioning since heat can aggravate any problems. He shouldn't be overexercised on hot and humid days. The Maltese Shih Tzu has proven that he's an adaptable, happy, and loving companion. He's a wonderful choice for elderly people, first-time owners, or any dog fancier who wants a cheerful pal to fill the days with laughter and smiles. The Maltese Shih Tzu is a "designer breed," a cross between a Maltese and Shih Tzu. Designer dogs aren't true breeds — they're crosses of two specific breeds. If you're interested in a Maltese Shih Tzu puppy, understand that his looks, size, and temperament aren't as predictable as those of purebreds, since you don't know which characteristics from each breed will show up in any given dog. Maltese Shih Tzus are adaptable and will be active and outgoing in a busy home, or quiet and reserved in a calm home. 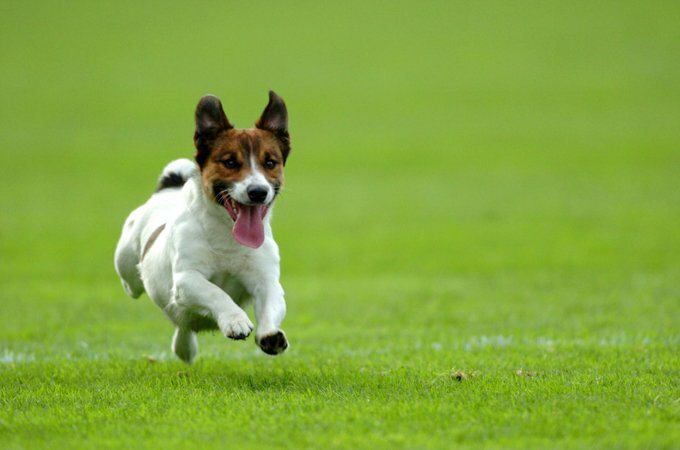 They require daily exercise and do well with a good walk or romp in the yard. Maltese Shih Tzus can suffer from respiratory problems. Heat and humidity can aggravate these conditions, so a home with air-conditioning is best. Some bark, but they don't seem to be as noisy as other small breeds, including the parent breeds. They will alert bark, however, so they can make good watchdogs. Maltese Shih Tzus are low shedders, but they require daily brushing to keep their coats free of mats. The coat can be clipped every six to eight weeks. Loving and gentle, Maltese Shih Tzus can make an excellent companions to both children and the elderly, and to first-time or timid owners. Maltese Shih Tzus generally do well with other dogs and pets. Maltese Shih Tzus are intelligent and train easily. Due to their size, Maltese Shih Tzus can make excellent apartment residents, but they're happiest when they have a yard in which to enjoy the great outdoors. The Maltese Shih Tzu was developed in the 1990s in an attempt to create a low-shedding companion dog. It's a bit surprising that he has gained popularity on a name that simply combines those of the two breeds used in the crossbreeding. Unlike many other designer dogs, the use of cute names has not been necessary to promote this hybrid. The Maltese Shih Tzu is currently one of the most popular hybrids in Australia, although his fame has also grown in North America and other countries. There are no breed clubs or breed standards for this dog, and many of the litters produced are the result of first-generation breeding between Maltese and Shih Tzus. There has been some second-generation breeding, but so far the Maltese Shih Tzu has not undergone breeding of third and subsequent generations. Although there is no breed standard for the Maltese Shih Tzu, he's roughly 10 inches tall and weighs somewhere between 6 and 12 pounds. The Maltese Shih Tzu is an adaptable, intelligent dog. He's likely to be active and outgoing, if not downright boisterous, but occasionally you find the laid-back and quiet personality. For a Maltese Shih Tzu, the most important aspect of life is family: nothing else matters as much as being with you. If he has that, everything else is negotiable. When good breeding stock is used, he has a nice, well-rounded temperament. He can be curious, which can occasionally get him into trouble. He's usually happy, however, and always ready for a good play session. The Maltese Shih Tzu needs early socialization and training. Like any dog, he can become timid if he's not properly socialized when he's young. Early socialization helps ensure that your puppy grows up to be a well-rounded dog. Enrolling your young Maltese Shih Tzu in a puppy kindergarten class is a great start. Inviting visitors over regularly, taking your dog to busy parks and stores that allow dogs, and going on leisurely strolls to meet the neighbors will also help him polish his social skills. The notion of hybrid vigor is worth understanding if you're looking for a Maltese Shih Tzu. Hybrid vigor isn't necessarily characteristic of mixed breeds; it occurs when new blood is brought in from outside the usual breeding circle — it's the opposite of inbreeding. However, there is a general misconception that hybrid vigor automatically applies to mixed breeds. If the genetic pool for the mixed breed remains the same over time, the offspring won't have hybrid vigor. And if a purebred breeder brings in a dog from a different line, those puppies will have hybrid vigor, even though they're purebred. Maltese Shih Tzus are generally healthy, but like all breeds, they're prone to certain health conditions. Not all Maltese Shih Tzus will get any or all of these diseases, but it's important to be aware of them if you're considering this breed. Before you bring home your Maltese Shih Tzu, find out if he's from a first-generation or multigenerational breeding (though multigenerational breedings are rare for this mix). If he's a first-generation dog, research the health concerns that occur in both the Maltese and the Shih Tzu. Regardless of generation, both parents should have applicable health clearances. Some disorders are caused by recessive genes that may not appear for generations. In Maltese Shih Tzus, you should expect to see health clearances from the Orthopedic Foundation for Animals (OFA) for hip dysplasia (with a score of fair or better), elbow dysplasia, hypothyroidism, and von Willebrand's disease; from Auburn University for thrombopathia; and from the Canine Eye Registry Foundation (CERF) certifying that eyes are normal. You can confirm health clearances by checking the OFA web site (offa.org). White Shaker Syndrome: This affects young to middle-aged dogs. The disease is seen in both the Shih Tzu and Maltese and has been seen in any crosses produced by either breed. Symptoms are uncontrollable shaking and an inability to walk. An episode can last all day. Treatment is usually corticosteroids for three to six months, after which time most dogs don't need additional treatment (although some may require low doses every other day to keep the condition under control). The Maltese Shih Tzu is an adaptable dog who can change his habits to reflect the home that he lives in. He can be active and outgoing in a high-energy home, but he can also be calm and reserved in a quieter home. Regardless of personality, the Maltese Shih Tzu requires the same amount of care. He should have a daily exercise, but this can be as simple as a leisurely walk through the neighborhood or a fun game of fetch down a hallway or in the yard. Expect about 10 to 15 minutes of exercise per day. He can do well in apartments, but the ideal is a home with a small yard. Maltese Shih Tzus love the outdoors and will spend a significant amount of time playing and romping outside. 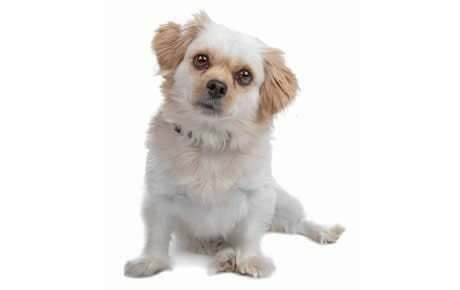 A home with air-conditioning is suggested, since some Maltese Shih Tzus can suffer from respiratory problems that can be made worse in heat and humidity; don't let him stay outside too long or play too hard when it's hot and humid. Training is as important for Maltese Shih Tzus as it is for all dogs, and he can be trained with little difficulty since he's bright and eager to learn. He makes an excellent dog for first-time owners. Socialization is important, especially since the Maltese Shih Tzu is a social dog and loves to receive visitors or go visiting himself. Crate training benefits every dog and is a kind way to ensure that your Maltese Shih Tzu doesn't have accidents in the house or get into things he shouldn't. A crate is also a place where he can retreat for a nap. Crate training at a young age will help your dog accept confinement if he ever needs to be boarded or hospitalized. Never stick your Maltese Shih Tzu in a crate all day long, however. It's not a jail, and he shouldn't spend more than a few hours at a time in it except when he's sleeping at night. He's a people dog, and not meant to spend his life locked up in a crate or kennel. Keep your Maltese Shih Tzu in good shape by measuring his food and feeding him twice a day rather than leaving food out all the time. If you're unsure whether he's overweight, give him the eye test and the hands-on test. For more on feeding your Maltese Shih Tzu, see our guidelines for buying the right food, feeding your puppy, and feeding your adult dog. The coat of the Maltese Shih Tzu should be long, and soft and silky in texture. It should have some wave to it, but it should never be curly. Maltese Shih Tzus generally are white or white with tan markings on the body and ears, but they can sport a combination of other colors, such as black, brown, black and white, brown and white, and black and brown. A fine Maltese Shih Tzu coat requires care and needs daily brushing to keep out tangles and mats. Regular bathing keeps the coat soft and silky. He can be clipped to make grooming a bit easier, but he still needs to be brushed weekly at a minimum, and clipped every six to nine weeks. Maltese Shih Tzus can have some problems with tearstains under the eyes, like their Maltese parents; these may need to be treated with commercial tearstain removers. Keeping the area around the eye clean helps reduce staining. Brush your Maltese Shih Tzu's teeth at least two or three times a week to remove tartar buildup and the bacteria that lurk inside it. Daily brushing is even better if you want to prevent gum disease and bad breath. Begin accustoming your Maltese Shih Tzu to being brushed and examined when he's a puppy. Handle his paws frequently — dogs are touchy about their feet — and look inside his mouth. Make grooming a positive experience filled with praise and rewards, and you'll lay the groundwork for easy veterinary exams and other handling when he's an adult. The Maltese Shih Tzu is a friendly dog who does well with children of all ages. He makes an excellent companion for older, more considerate children, but he also loves the small kids. A Maltese Shih Tzu does well in homes with other dogs and pets and can thrive in multipet homes. He's social enough to want to play with everyone, regardless of species. He won't view your hamster as fast food, but it's always best to keep an eye on his interactions with any smaller pet. Maltese Shih Tzus are often purchased without any clear understanding of what goes into owning one. There are many Maltese Shih Tzus in need of adoption and or fostering. There are a number of rescues that we have not listed. If you don't see a rescue listed for your area, contact the national breed club or a local breed club and they can point you toward a Maltese Shih Tzu rescue.